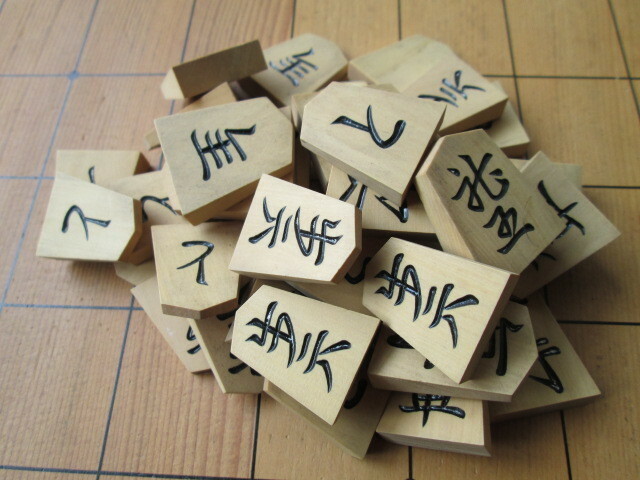 A shogi salon, or a place like a shogi classroom. since opening, is now to play against this. It is the emergence of a so-called living legend. Everyone took a jerk and I decided to have an opponent. My strength is at most the first stage. It is not weak, but not too strong. Still it is nice to play against professional shogi players. Face each other across the board and start aligning pieces. "Ho ho, this is pretty impressive, is not it?" Old shogi who seemed impressed. It makes me happy like mine. Actually, it is a big piece in a wide shogi board. the yellowish shadow-board magnet clip in the piece is mixed. "However, it is dirty for a while"
the surface of the board with a cloth. Indeed, there is a part that looks whitish certainly. I feel forsaken like I am. While playing, the old shogi player continues. think carefully and point me in neat. I want you to focus on this game now. it is fine, it is OK, there is no problem. I can not do that." Actually, that was what I intended to do.